Elevated cortisol levels can often indicate high levels of stress. With stress on the rise, and the majority of Americans reporting being stressed out, elevated cortisol is becoming increasingly common. Like other hormones, there is an optimal range that cortisol levels should fall within. Both elevated cortisol levels (hypercortisolism), and low cortisol levels (hypocortisolism), can negatively impact your health. Fortunately, InsideTracker’s Advanced Home Kit will not only identify your current cortisol level, among other essential biomarkers, via blood analysis, it will also determine your ideal cortisol range, based on your lifestyle and demographic characteristics. The plan will further provide you with specific nutrition and lifestyle recommendations, helping you achieve optimal cortisol levels. In ideal amounts, cortisol is part of an essential mechanism for survival. When the body faces a stressor (such as trauma, emotional exhaustion, or severe calorie restriction), cortisol is synthesized from cholesterol and released by the hypothalamus. Cortisol then diverts energy away from low-priority activity, such as the immune system, and spares available glucose for the brain, putting all energy towards the more immediate threat. Hydrocortisone, the synthetic form of cortisol, is a medication used to reduce inflammation. Topical hydrocortisone is often used to treat skin irritations and conditions, and oral hydrocortisone is used to treat various conditions, such as arthritis, intestinal disorders, and immune system cancers (including lymphoma and leukemia). Chronically low levels of cortisol are uncommon, but may indicate serious health problems. Seek the advice of a physician if your cortisol levels are low. In humans, cortisol levels follow a circadian rhythm, with levels rising and falling throughout the day, and repeating on a 24-hour cycle. From day-to-day, depending on different events (of varying stressors) that may occur, levels can vary. Peak levels of cortisol generally occur between 6:00 to 8:00 AM. 30 to 60 minutes after awakening, there is a surge of cortisol secretion. 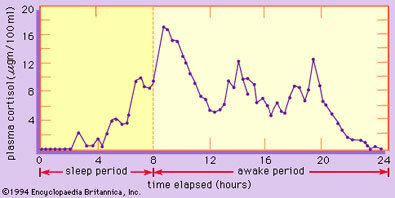 The best time to have your blood cortisol level tested is around 8 AM, or soon after rising, following an overnight fast. The lowest levels of cortisol occur around midnight, or about 2 to 4 hours after falling asleep. 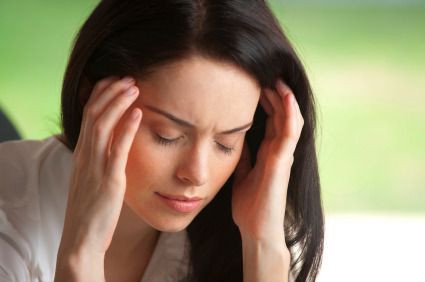 Fortunately, lifestyle modifications and stress management techniques can play a significant role in controlling cortisol levels. Identifying how you respond to stress, as well as your personal stressors and relaxants is important. Keep in mind that there are a number of factors that may influence blood cortisol levels. Individuals taking steroid medications, or women who are pregnant or taking estrogen or oral contraceptives may have increased cortisol levels. A recent injury, illness, surgery, or infection, as well as participating in strenuous exercise 24-hours prior to a blood test can also cause high blood cortisol. Cortisol is a vital hormone involved in a multitude of our bodies’ most crucial functions. The many problems that result from chronically elevated cortisol can impact both physical and mental well-being. The best way to begin managing your cortisol and stress is to have your blood analyzed through InsideTracker. You will be able to determine your cortisol level, and more importantly, receive relevant, personalized, and science-based recommendations to optimize your performance and overall health.